Over a period of time AIRDA’s editorial team has played the role of a listening post for feedback on timeshare from customers and non-customers. Our keen interest to know more has led us to a wide cross-section of people from different backgrounds, professions, age groups and locations. 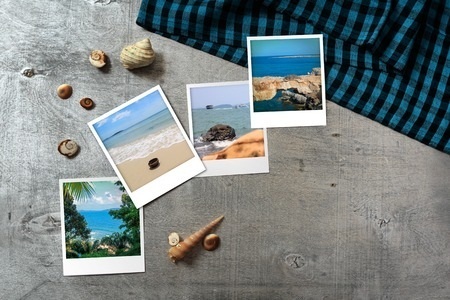 These are people who also share something in common: the need for a unique holiday experience that timeshare can provide. This month we feature a selection of responses to provide an overview of the timeshare experience. Our responses here are primarily from people who have seen the benefits of going on that well deserved vacation, every year. One of the things I have always liked about timeshare holidays is the concept of the resort being your little world of retreat – your home for a week. It’s not a base from where you go elsewhere, but a holiday venue or location in itself. This makes a lot of sense to me because it enables bonding with family and friends, discovering the outdoors and yes . . . actually stopping to smell the roses. As an IT professional working with key accounts, I usually have a busy calendar during the year, and timeshare gives me the opportunity to come up for air – for my breather. During my vacation, I can actually feel my heart beat a little faster with excitement. That’s true, timeshare gives you a vacation format that’s hard to match when you’re comparing hotels and timeshare resorts. A hotel for instance, is usually limited in terms of stay over experience – in addition to a swimming pool and a gym it is not equipped to handle anything more than that. A hotel is a touch-point, or a transit base from where you can visit nearby places of business or tourist interest. On your annual vacation you expect a little more activity than that. I for instance look forward to an activity planner that my resort works out for its guests, that could include outdoor activities as well, such as trekking, jungle safaris and plantation visits. If my home resort does not offer jungle safaris, for instance, you can always look for an exchange option with the exchange network linked to my resort. I am 65 years old now and my wife and I are totally dependent on the children for our holidays and vacations. To be really honest we could never go on a holiday during our working years. Life was difficult and the money I earned went into living a simple, yet comfortable life with money allocated to the education needs of our children. Life changed after my son finished his mainstream studies and got a nice job. And one of the many things my son did after that was subscribe to a timeshare plan. Life changed for us after that. We now go on annual vacations together and really have a good time – I am now waiting for my sons to get married so that we can then holiday with the complete family, along with grandchildren. Sometimes I really wonder what the family has missed out on over the years. Like my husband said, our whole life changed after my son picked up a vacation plan with a timeshare resort. I have seen a new level of bonding and togetherness between my husband and our sons. They are excited, animated and are showing a fun side that I never seen before. Though we could not afford to give this to our children, they are giving it to us – an experience that is bringing the whole family together in a welcoming kind of way. I also think this is due to the way holiday time is planned to give guests an unforgettable holiday experience. One of things my husband did after we got married was outline a road map of things to do – a future planner in other words. Like most young couples, we thought of our first home and a car as initial investments. And then a timeshare plan came into the picture, thanks to a friend who had already seen the benefits. Come to think of it, “guilt-free” is the best way I can describe our timeshare investment because there’s so much to look forward to – relaxation, activities, great food, local attractions. The sum total of the total experience is unbeatable.